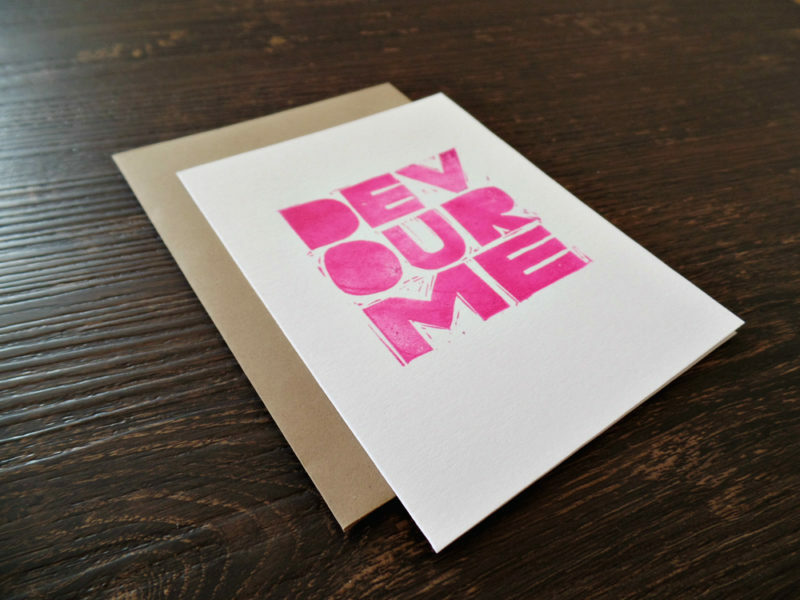 This romantic card has been hand printed by me in a fun pink ink on a white card. 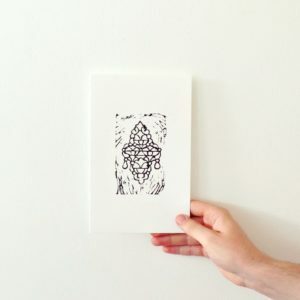 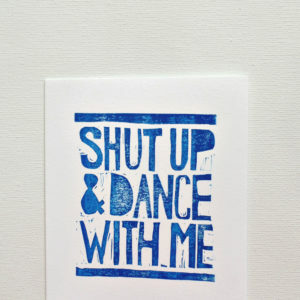 The stamp was designed and hand carved by me in my perfectly imperfect rustic style. 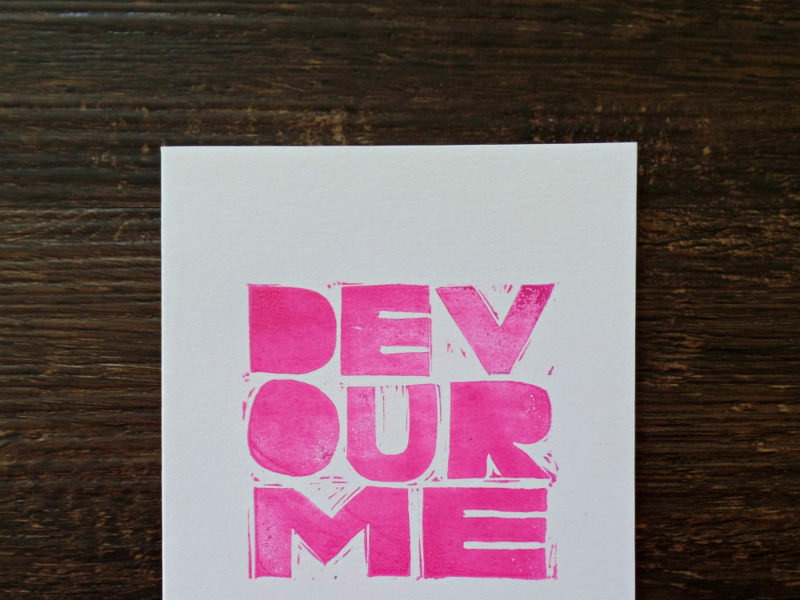 The block letters spell out Devour Me, a line from Alt-j’s song – I want every other freckle. 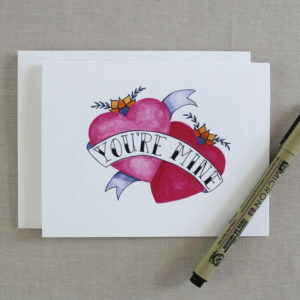 This card would be perfect for an anniversary, birthday or any time you want to let your person know how you feel about them. 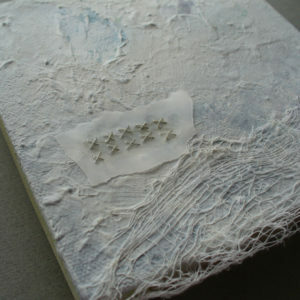 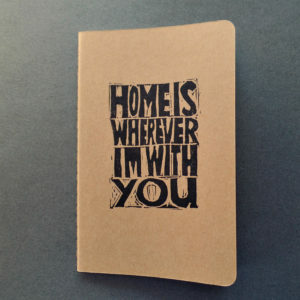 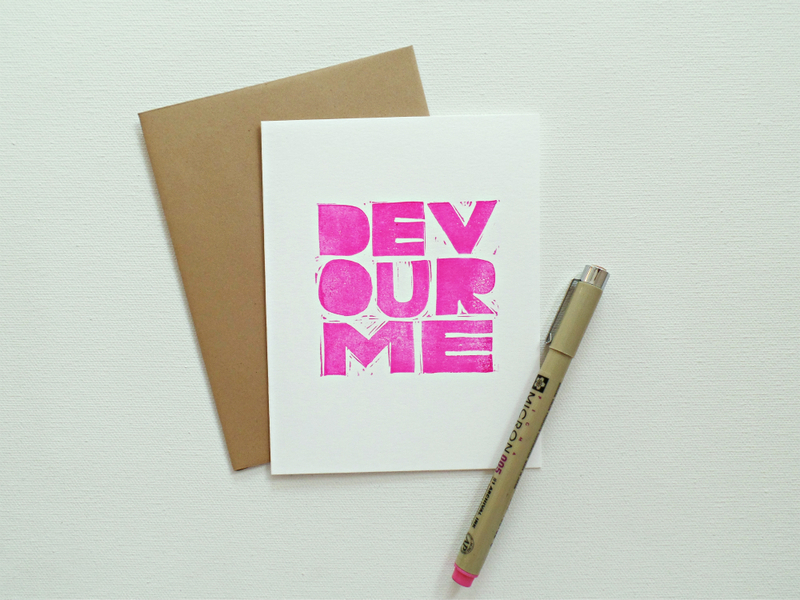 Card is a sturdy card stock and is blank inside for your personal message. 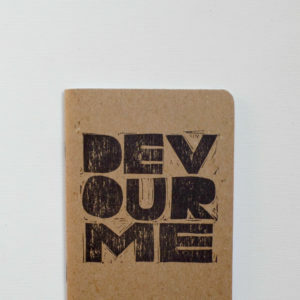 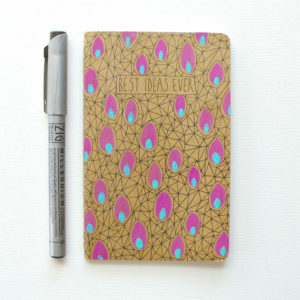 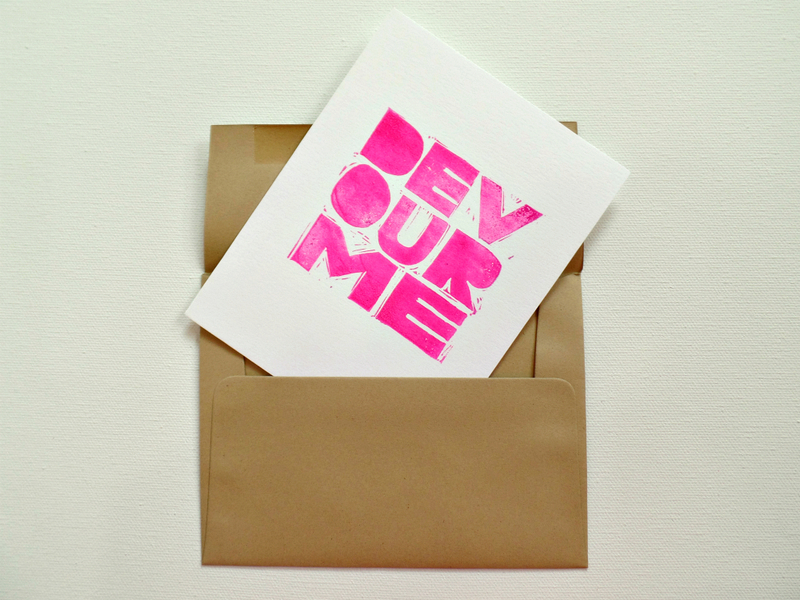 Click here for a devour me notebook.